Did you know that there are several different asthma types? Understanding what type of asthma you have may help you prevent symptoms and take more effective steps when and if you develop them. This can sometimes lead to confusion as some of the treatments can be different. While we call all of them asthma, the underlying pathophysiology can be a little different, leading to different treatment. Let's take a look at all of the types of asthma that can impact you. This asthma type accounts for nearly 60 percent of all asthma. It involves airway obstruction and typical asthma symptoms often associated with allergies and triggered by allergens. It is important to be able to identify what triggers your asthma. Examples of common triggers include pollens, molds, dust mites, and animal dander. Normally, your immune system's role is to fight off infection, but in allergic asthma, your body overreacts to asthma triggers, leading to asthma symptoms. The treatment of allergic asthma will focus on avoidance of asthma triggers or mediating your body's immune response. Some research has demonstrated non-allergic asthma to be more severe as measured by the Global Initiative for Asthma, or GINA, score. Some studies have demonstrated a higher prevalence among women, but this has not been universal. Non-allergic asthmatic patients develop the disease after childhood and have non-allergic conditions, such as rhinosinusitis and GERD, and are less likely to respond to inhaled steroids. Many of these patients are also at risk for occupational asthma. 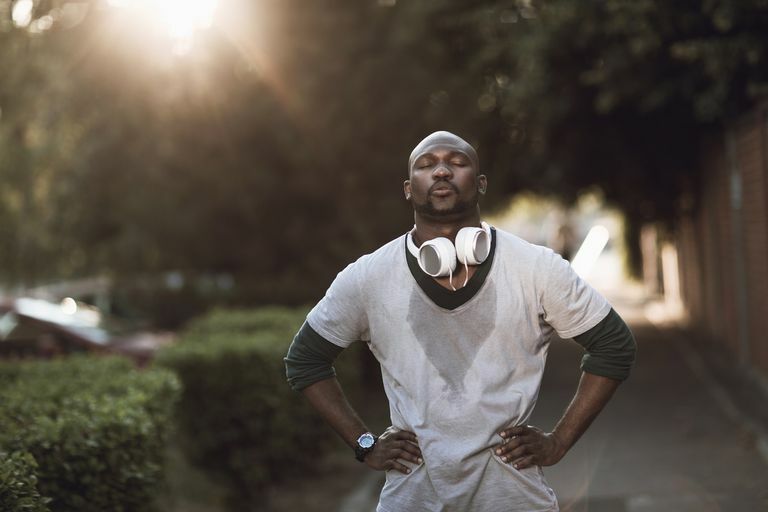 Exercise-induced asthma (EIA), or more commonly referred to by your asthma care provider as exercise-induced bronchoconstriction, is when your airways narrow and you develop asthma symptoms as a result of exercise. For EIA and other forms of asthma, it is important that you have an asthma action plan and always have your rescue inhaler handy. This can be particularly important for EIA as you may have less frequent attacks. Also, you may want to consider getting a medical ID bracelet or getting an "In Case of Emergency" contact for your cell phone to let people know you have asthma and who to contact if you are not able to communicate. Did you know that your work environment may put you at risk for asthma? Work-related exposures to irritants like dust and chemicals are main causes of both new and worsening cases of asthma. Asthma may result from either direct irritation of your lungs or through sensitization to the offending substance. While a cough may accompany the usual symptoms associated with asthma, cough alone may be a precursor to or the sole symptom in an asthmatic. When a cough is the only asthma symptom, this is known as a cough variant asthma (CVA). Most people don't think about over-the-counter products worsening their asthma, but this can be very important for a small group of people. But, for some asthma patients, over-the-counter pain medications can be very dangerous. Aspirin and other non-steroidal anti-inflammatory drugs (also known as NSAIDs) can worsen asthma or even be fatal. With this type of sensitivity, you need to stay away from drugs like ibuprofen, naproxen, and diclofenac as they may trigger asthma attacks if you have asthma. If you have wheezing, coughing, chest tightness, or shortness of breath at night, your symptoms may represent worsening of your regular asthma or represent nocturnal asthma as a separate diagnosis. Nearly 75 percent of asthmatics experience nighttime symptoms like a cough at least once per week. And as many as 40 percent experience nocturnal symptoms on a nightly basis. These are not patients who do not take their medication or do not have access to steroids due to financial or other reasons. These patients just do not respond to the treatment. It is not exactly understood why some patients are resistant to treatment, but theories include lacking the ability for the steroid to appropriately bind to lung cells and a relationship to low vitamin D levels. Managing this form of asthma is very expensive and represents a significant healthcare problem. All that wheezes is not asthma. Some common and uncommon diseases may also cause you to wheeze. The range of diseases here is pretty wide. Post nasal drip and enlarged tonsils are some common conditions that can lead to wheezing in some patients, but the actual cause is not asthma. Likewise, uncommon conditions can also lead to wheezing. While not rare, an enlarged thyroid gland can compress parts of your airways and result in wheezing. You can also be born with vascular rings (blood vessels that surround airways) that put pressure on respiratory structures that lead to shortness of breath and wheezing. Bonini M, Polange P. Exercise-induced bronchoconstriction: new evidence in pathogenesis, diagnosis and treatment Asthma Research and Practice, 2015, 1:2. Dicpinigaitis PV. Chronic Cough Due to Asthma: ACCP Evidence-Based Clinical Practice Guidelines. O'Byrne, P. Patient Information. Exercise-Induced Asthma. Tan NC, Nadkarni NV, Lye WK, et al. Ten-year longitudinal study of factors influencing nocturnal asthma symptoms among Asian patients in primary care. NPJ Prim Care Respir Med. 2015; 25: 15064.